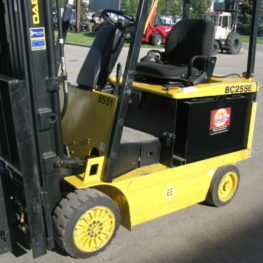 A New 2014 three wheel electric unit with upgraded non-marking traction drive & steer tires, 36 or 48 volt battery powered, column shift automatic transmission, 187″ 3 stage mast, 84″ lowered height, side shifting carriage, work lights, New Hawker Powerline battery, complete with new industrial charger to match facility power. 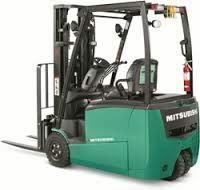 A new unit ready for immediate sale and delivery. Call today for details. 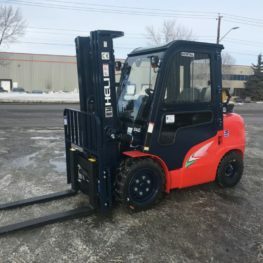 A New 2014 three wheel electric unit with upgraded non marking traction drive & steer tires, 36 or 48 volt battery powered, column shift automatic transmission, 188″ 3 stage mast, 83″ lowerd height, side shifting carriage, work lights, New Hawker Powerline battery, complete with new industrial charger to match facility power.